Wanderelei Silva (pictured) hasn’t won a fight inside the cage in 26 months, but the MMA legend scored a significant victory inside a Nevada courtroom last week. Silva will now have the opportunity to stand before the NAC again for a re-hearing. Silva and his attorney, Ross Goodman, were also arguing the NAC didn’t have jurisdiction to randomly drug test Silva because he wasn’t licensed in the state of Nevada at the time was thrown out. According to Early, NAC properly exercised jurisdiction with their random exam. When the NAC sprung a surprise drug test on Silva last May at his gym in Las Vegas, Silva bolted out the back door and never looked back. As far as the committee is concerned, a skipped test is a failed test. “The Axe Murderer” claimed the reason he didn’t oblige to the random drug exam was because it was accompanied with paperwork that he wasn’t prepared to sign without his attorney present, primarily because the documents were in English. Silva later admitted he had taken diuretics and anti-inflammatories to treat a wrist injury. UFC doctors prescribed Silva anti-inflammatory medication following his on-set brawl with Sonnen on “The Ultimate Fighter: Brazil 3.” An X-ray confirmed a fractured wrist. On his own accord, Silva then proceeded to seek out diuretics to minimize water retention. Diuretics are commonly classified as a banned substance due to their use as a masking agent to prevent detection of other illegal substances. Instead of fighting a losing battle, Silva decided to call it a career and ripped the UFC on his way out for trying to turn his legion of fans out to dry. While he’s still technically retired, it appears Silva could return now if he so chooses. 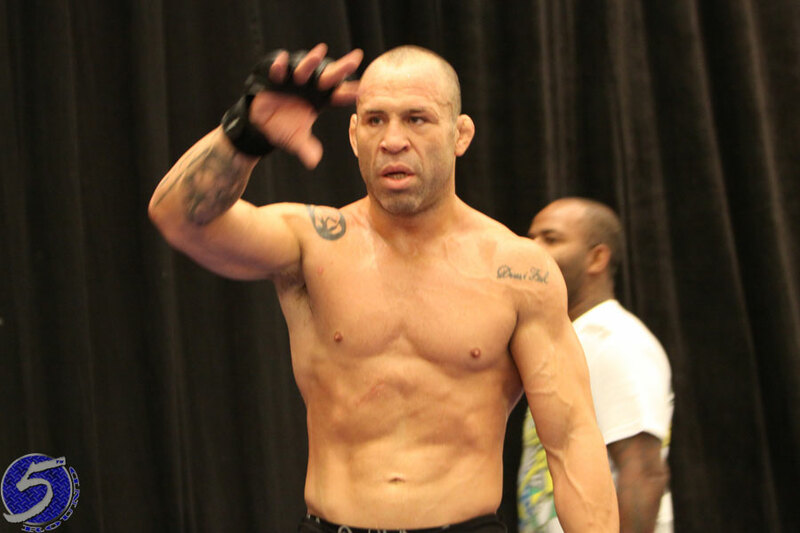 The 38-year-old was last seen knocking out Brian Stann in March 2013. He owns a 35-12-1 (1 NC) record.